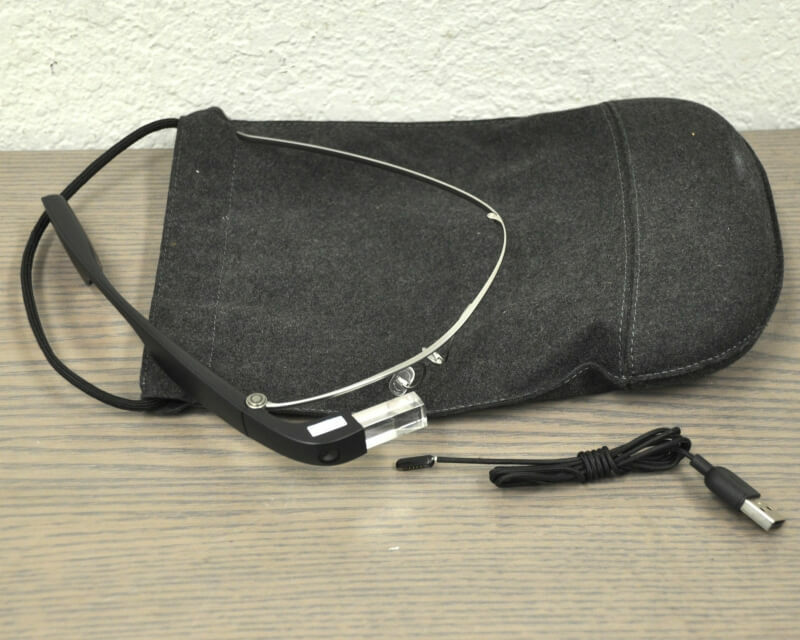 Back in December, images from an FCC filing showed us the first glimpse of a new version of Google Glass, dubbed the Enterprise Edition. As the name suggests, the headset is aimed at the enterprise market, and even though Google has reportedly been working on it for quite a while, the company has never indicated that it even exists. But you’ve now got the chance to get your hands on this new EE version of Glass – providing you’ve got plenty of money. Ebay seller azpawnbroker, a San Francisco pawnbroker, has a listing for the device. There are still two days of the auction left to go, and, at the time of writing, it’s had 51 bids and reached an eye-watering $7200. The images from the listing have been independently confirmed as being authentic. As previously reported, the EE version does bear a resemblance to the 2013 Explorer Edition but comes with a few differences, the most significant being the foldable hinge that allows the headset to be folded like a traditional pair of glasses. There are also LED lights that indicate when the camera is recording, and a new charging and data port replaces the Micro USB. Internally, the new Glass is said to feature a new Intel Atom processor that increases battery life by as much as two hours. It also features improved wireless connectivity - including the addition of a 5 GHz Wi-Fi band, better heat management, and a larger prism that can display more information. The headset is allegedly waterproof, too. A to Z pawnbrokers confirmed that it is responsible for the listing but wouldn’t say how the headset, which is thought to be an internal unit used for testing, ended up in its possession.